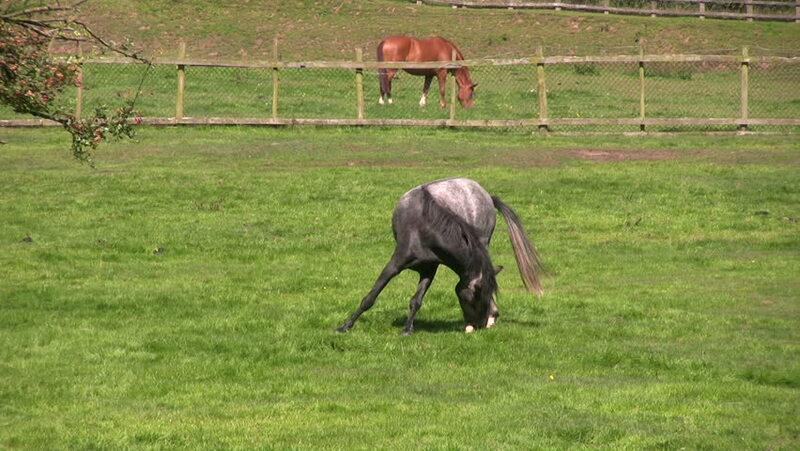 A grey horse stretches its neck and legs in order to nibble or gnaw at an irritation on its hind fetlock. hd00:12A mare and foal in the meadow. These horses are of the Friesian race. Other horses in the background. 4k00:17Eastern Grey kangaroo (Macropus giganteus) in the wild at Coombabah Lake Conservation Park on the Gold Coast in Australia.